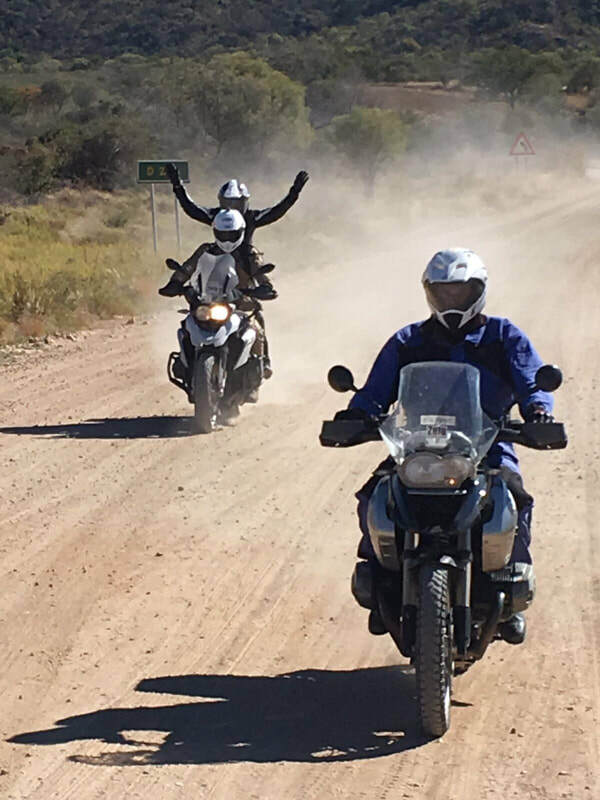 What better way of seeing the awe inspiring African vistas than from the saddle of your BMW Adventure bike - come and join us on this 14 day ride from Namibia through the Kalahari Desert to Botswana then onto the Okavango Delta through the Makgadikgadi Salt Pans in search of the Majestic Victoria Falls of Zimbabwe. All this whilst in the company of Africa's big game. 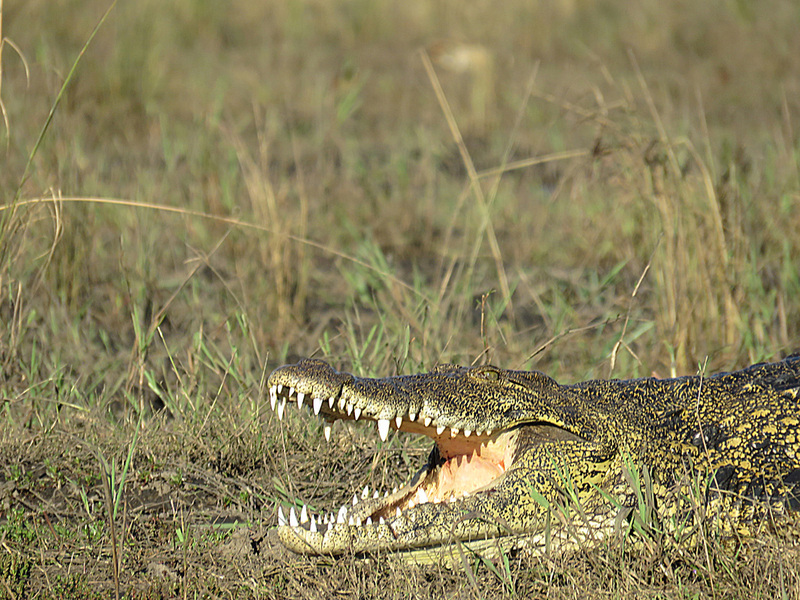 Botswana offers safari in its purest form as we venture deep into the bush in search of the Big 5. A salty desert pan is all that is left of this once huge inland ocean. 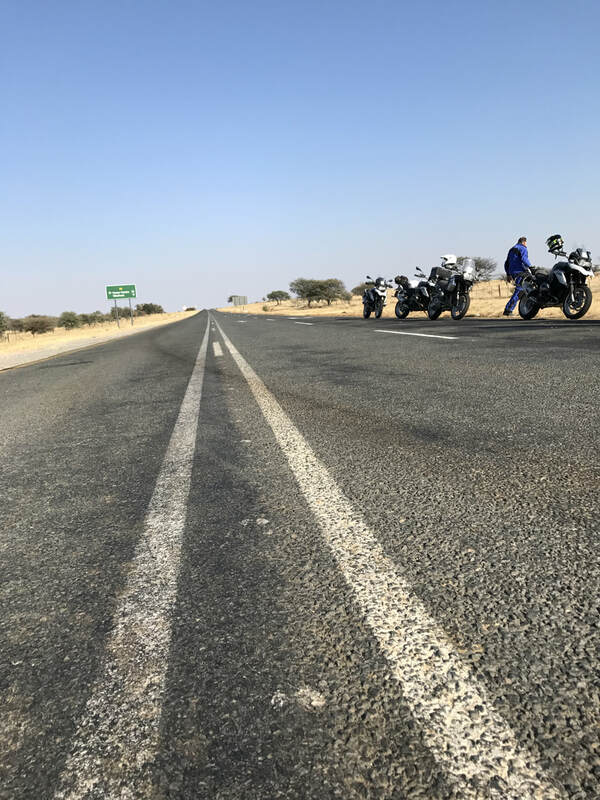 Ride through roads cut through the arid expanse of red sand dunes that fill the horizon the Kalahari Desert is a haven for the African wildlife. Jump aboard our Jeeps as we take you on a guided big game tour into the National Reserves to experience what it is like living next to wildlife. One of the seven natural wonders of the world, the Okavango Delta swampland that evaporates and dries before hitting the salt pans of the Makgadikgadi. Fly into Maun a little river town in Botswana, check in, kick back and relax. 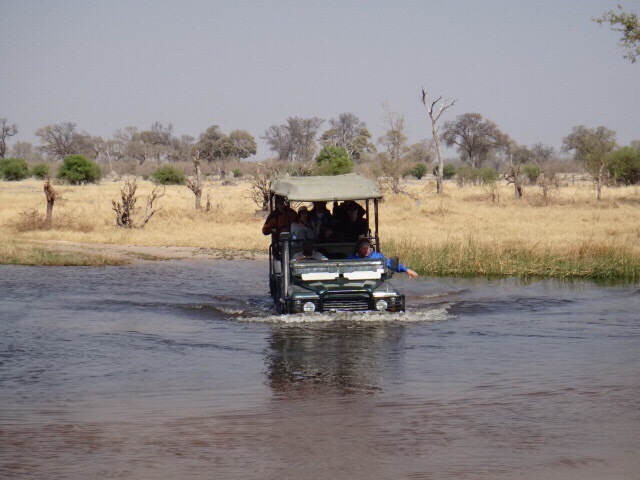 We leave the bikes behind in Maun and jump aboard the safari vehicles for a guided game drive through the Okavango Delta to tonight's bush camp, where we spend the night in the wilds, no fences, no electricity just camp showers and toilets under the stars, the real deal. After breakfast we jump back into the jeeps and head deeper into the Bush in search of big game. This is a full day in the bush eating food solely prepared on the fire and listening to the natural "noise" and we bed down. 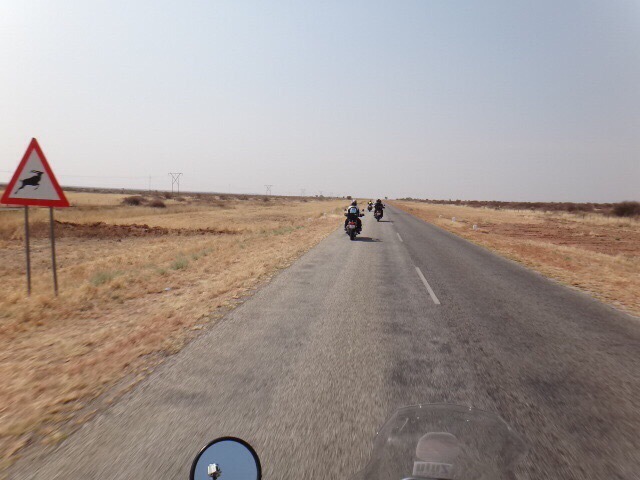 After an early game drive back to Maun we are reunited with the bikes. Today we hit the road and head toward the Makgadikgadi Salt Pans. Today is spent riding up and along the Zimbabwe border and through the Sibuyu and Kasane Forest Reserves which gives us the rare opportunity to spot members of the Big 5 from our bikes and if that wasn't chance enough after checking in to our lodge in Kasane we do the Chobe Sunset River Cruise. 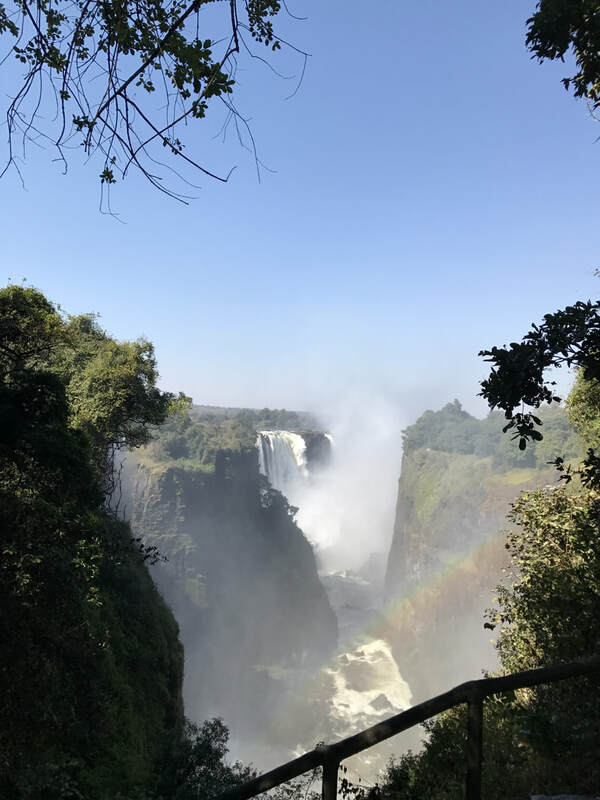 Today we jump back into the jeeps and after a short transfer we cross the border into Zimbabwe to discover the majestic Victoria Falls. Options to take a helicopter flight over the falls or a more sedate ride on an elephant. (extra activities not included) After tea at the Colonial Victoria Falls Hotel we head back to Kasane for supper. 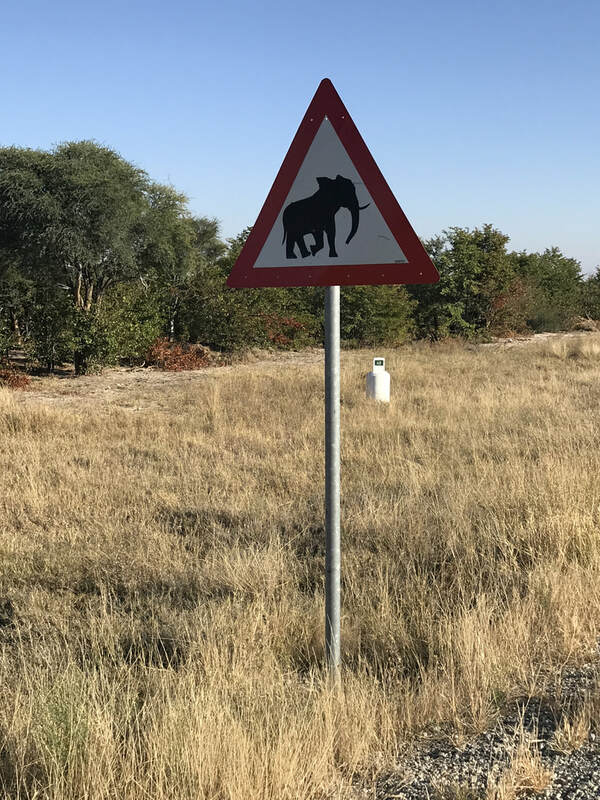 The day starts with a 50km ride through the Chobe National Park with a chance to discover plenty of wildlife from the saddle of your BMW, including big game. 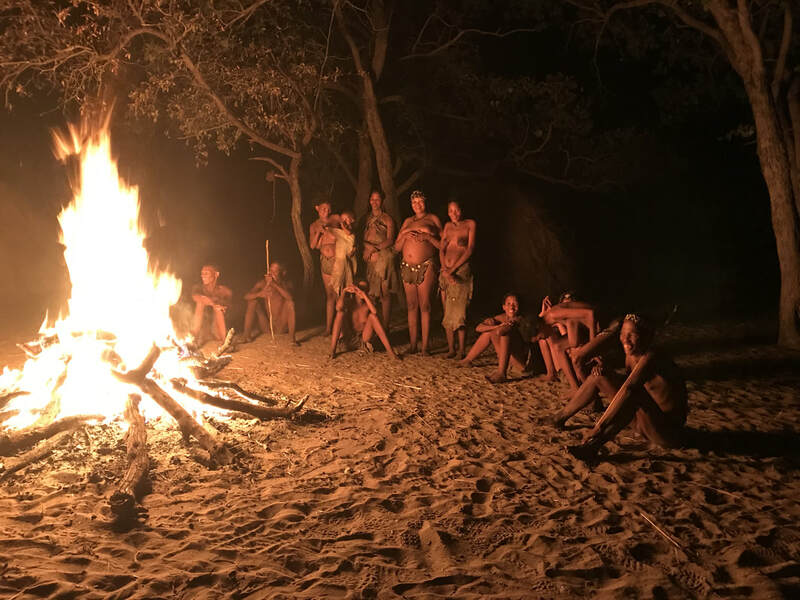 We then ride through the Caprivi region of the country to a lodge on the banks of the Cubango river which leads into The Okavango Delta forming the so-called "Pan Handle". 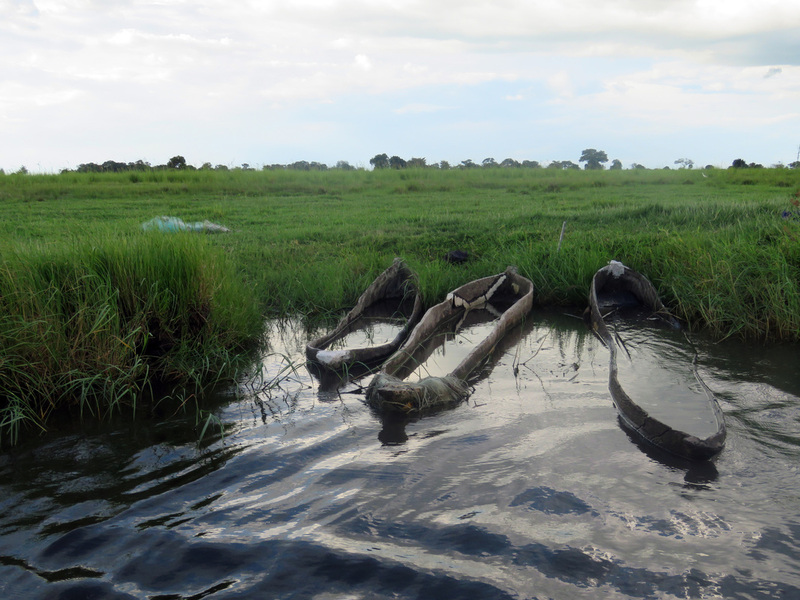 With more of the Caprivi region being covered today we get a chance to ride through little rural villages. Discover the real Africa. 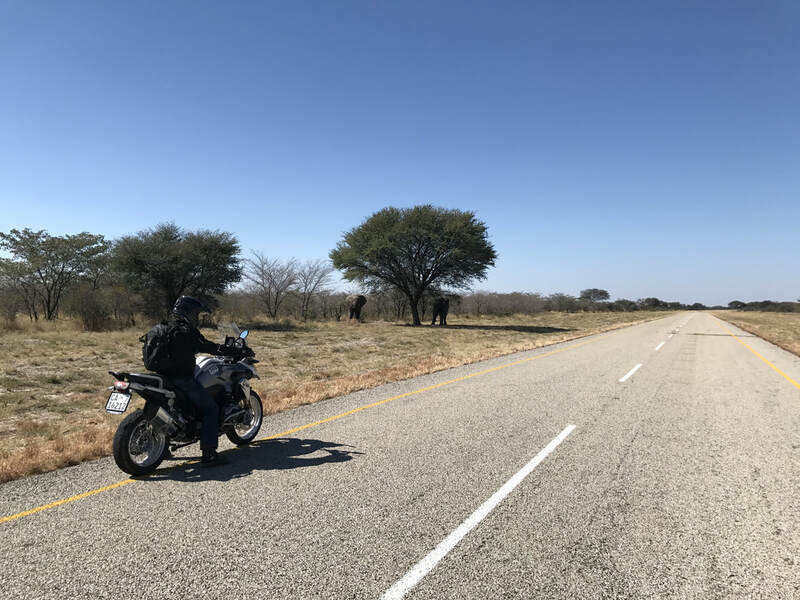 We ride from the Grootfontein area to the Southern gate of Etosha through a predominantly game and cattle farming area of Namibia to reach our lodge just outside the Southern Gate of Etosha. 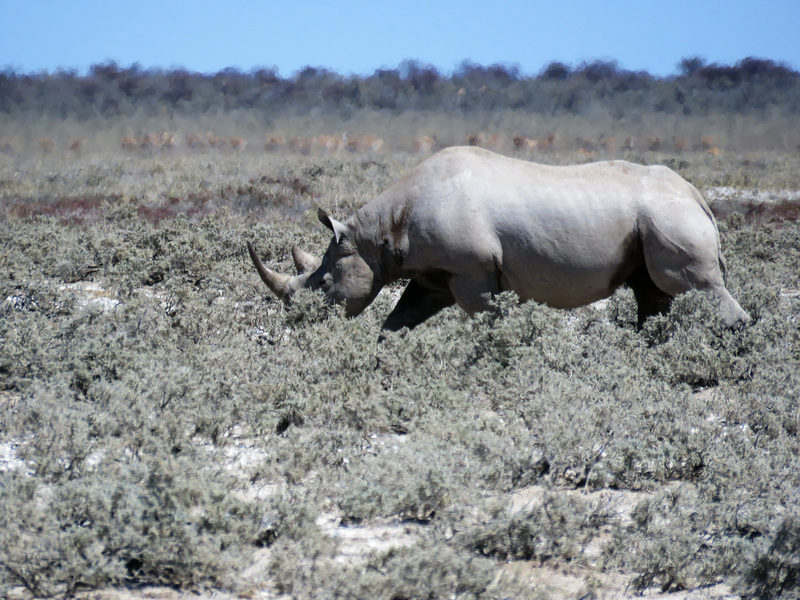 A day spent in Etosha will always be a memorable day with another chance of spotting any of the big game including almost all of the bird species Namibia has to offer. Today is a guided game day in the safari jeep spending all day in Etosha looking for that great wildlife picture. Our last day of riding takes us to one of the largest craft markets in Namibia for some souvenir shopping and then off to Windhoek. Today we head to the airport to fly home with a bag full of memories. All tours are supported with vehicles to carry luggage, motorcycle spares and equipment. Meals are included unless otherwise stated.